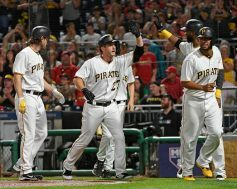 After a disappointing series in Cincinnati, the Pittsburgh Pirates returned home to PNC Park for the first of a three game weekend series against the St. Louis Cardinals. 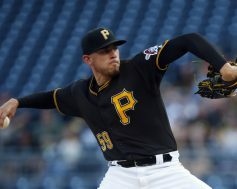 Joe Musgrove made his Pirates debut on the mound tonight, marking the first time to suit up since being dealt to Pittsburgh in the Gerrit Cole trade with the Houston Astros over the offseason. Tonight, Musgrove tossed a gem, and the Pirates offense came alive, as they coasted to an 8-1 victory. Musgrove was dominant tonight, needing just 67 pitches to make it through seven innings of shutout baseball. He scattered five hits, striking out seven without walking a batter. Michael Feliz gave up a run in the eighth and Kyle Crick pitched a scoreless ninth in relief. The Pittsburgh Pirates were looking to take two out of three from the Cincinnati Reds this afternoon. The two teams combined to hit four home runs and, in the end, Cincinnati would bring home one more run in a 5-4 victory over Pittsburgh. The loss would be the Pirates fifth in six games and first time since mid-April that they have lost back to back series. It’s no secret that the Pittsburgh Pirates lone struggle this season has been their bullpen. The best way to counter that is have your starter work deeper into ballgames. 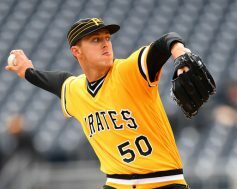 Today’s starter Jameson Taillon took the ball and ran with it for all nine innings. He would even help himself at the plate too by driving in what would be the winning run in a 5-0 win over the Cincinnati Reds. Tonight’s game between the St. Louis Cardinals and Pittsburgh Pirates featured a matchup between two pitchers who have had significant success against each other in the past – Lance Lynn and Gerrit Cole. Tonight, however, both pitchers struggled, and the Pirates jumped out to a huge early lead and went on to win 11-6 at PNC Park. Lynn didn’t finish an inning tonight, giving up eight runs on six hits. Cole earned his 12th win of the season in his final home start of the year, giving up five runs on seven hits in 5.2 innings. This was a long game as most September games are, with the two teams combining to use a total of 14 pitchers. 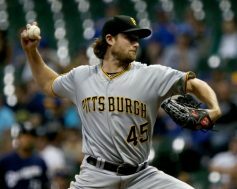 Gerrit Cole took the mound tonight for the Pittsburgh Pirates looking for another solid start on the road. Unfortunately, he ran into some trouble in the early innings, and the Bucs couldn’t muster a comeback as they fell 5-2 to the Milwaukee Brewers tonight at Miller Park. Cole battled his way through six innings, giving up five runs on seven hits with ten strikeouts and two walks. His mound opponent, Brent Suter, gave up two runs on three hits in three innings in a spot start for Milwaukee. A solo homerun by Eric Thames in the bottom of the second inning put the Brewers in front 1-0. Jordy Mercer’s groundout in the third tied the game and an RBI single by Jordan Luplow later in the inning gave the Bucs a 2-1 advantage. The Brewers tagged Cole for four runs in the third inning. 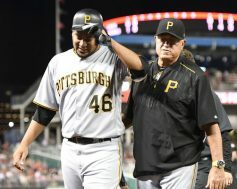 The Pittsburgh Pirates entered their three-game series with the Milwaukee Brewers on a five-game losing streak and struggling in all aspects of the game. Steven Brault looked to be the stop gap for Pittsburgh and he would have help from his offense in a 7-0 win over Milwaukee. If the Pirates want finish this season strong, more nights like this would go a long way. 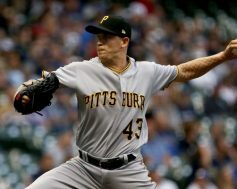 Brault would go on to have the best start of his short Major League career. 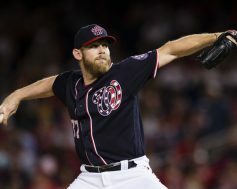 He would throw six innings allowing one hit, while striking out six and walking one. The biggest stat was not allowing a single run. Brault would even do it with the bat going 2-3 with two RBI and a run scored. He definitely did it all tonight in leading the charge to victory.